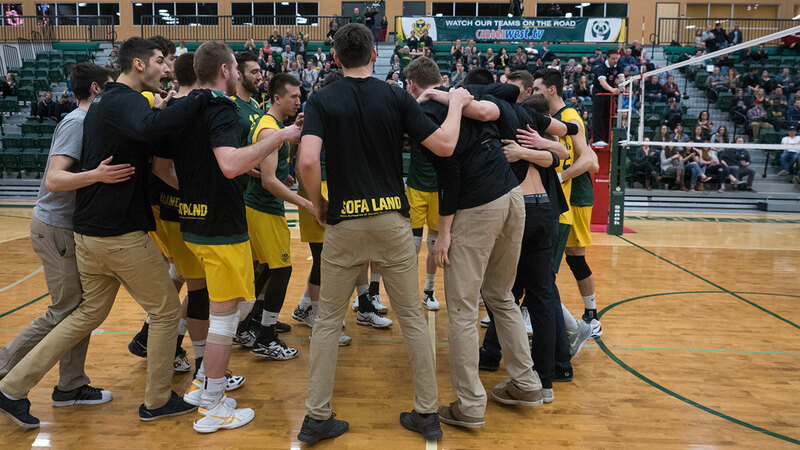 The Golden Bears volleyball team was forced to take an unorthodox path to the CIS National Championship tournament, but they managed to get it done last weekend. 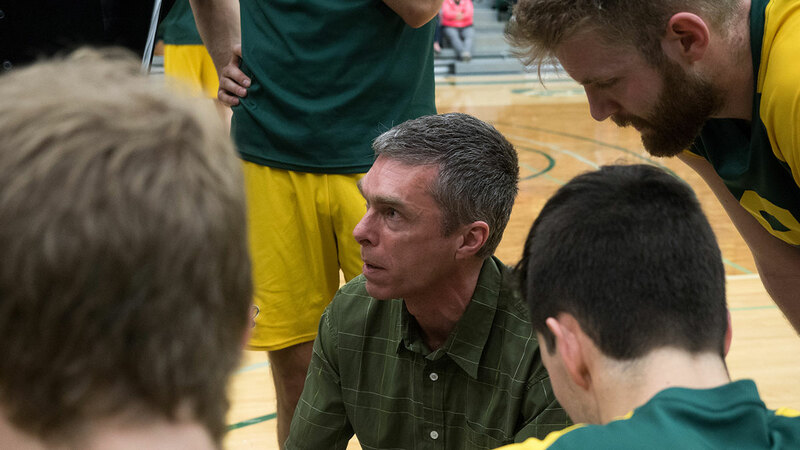 Coming off a bye week into the Canada West final four tournament, the Bears were matched up with the sixth seeded Trinity Western Spartans in the conference semifinal on Friday. In regular season play, the Bears bested the Spartans 3-1 in both matches they played. This game was another story. 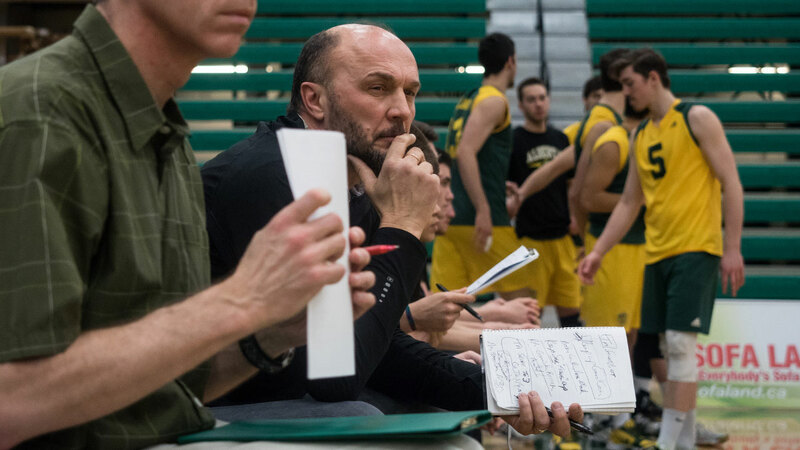 With starting setter Adam Schreimer coming back off an injury, the Spartans were all over the Bears on attack. On the other side of the ball, the Spartans shut down the Alberta attack with 12.0 blocks to the Bears’ 3.5. 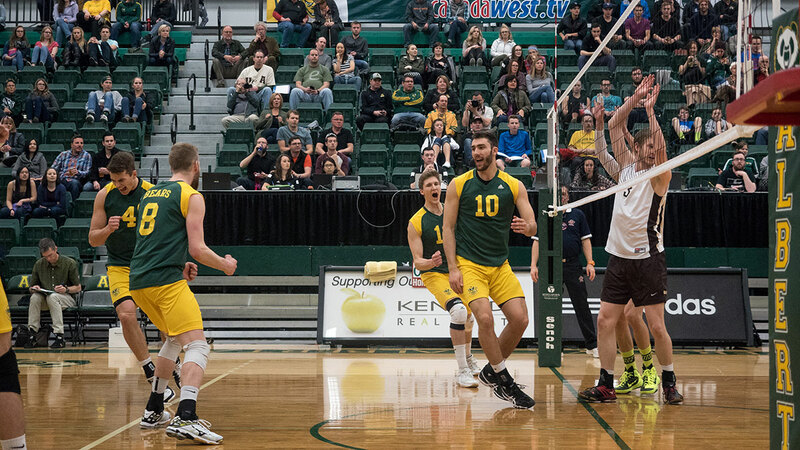 Out-pointed and out-served, the Bears fell to the team from Langley in straight sets. 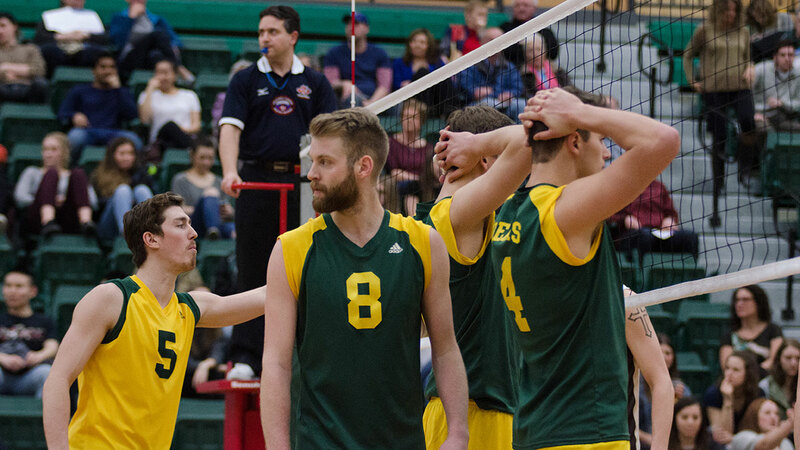 With the loss to Trinity, the Bears were relegated to the bronze-medal match against the second ranked Manitoba Bisons, who were shocked in straight sets by an underdog team from Saskatchewan. 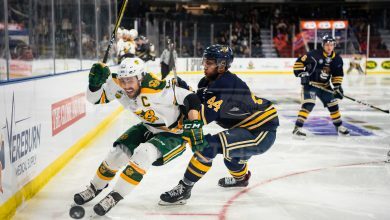 “These were two teams who expected to be in the final, instead they’re battling for third place at three o’clock in the afternoon,” Danyluk said. 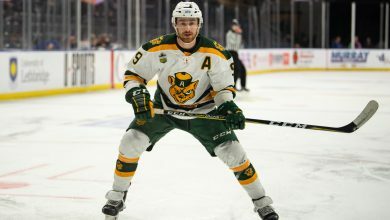 Challenging his squad to get back to playing their game, Danyluk said the Bears stepped up with their season on the line. 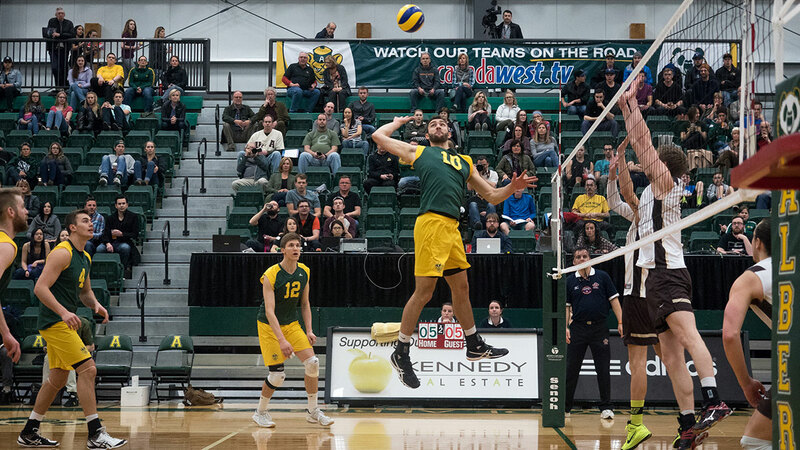 Dominating the Bisons all over the floor, the Bears maintained a .493 team kill percentage, and scoring a full 19.5 more points than Manitoba. 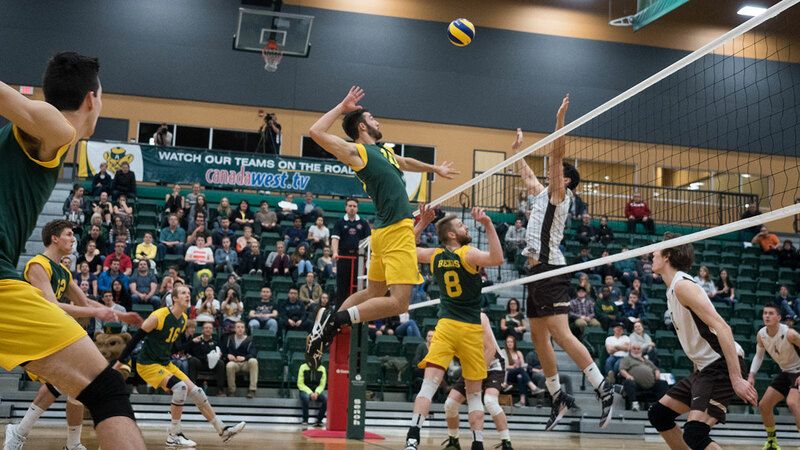 Rolling to a straight-sets victory, Danyluk said the team maintained composure and consistency to ensure the win. 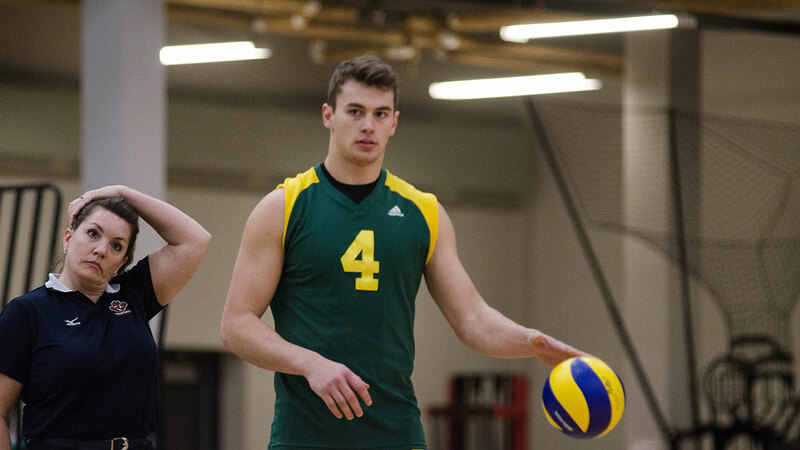 For his part, fourth-year setter Brett Walsh said the team stepped up when it mattered. 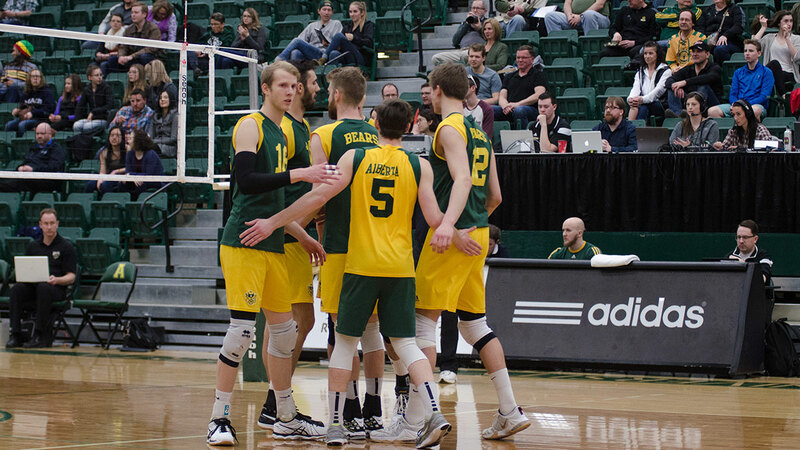 Reaching CIS Nationals for the 16th consecutive year, the Bears come into the tournament with a sixth-place seeding. This matches them up with RSEQ Conference Champions Laval in a 3:00 p.m. Eastern time match on Thursday. 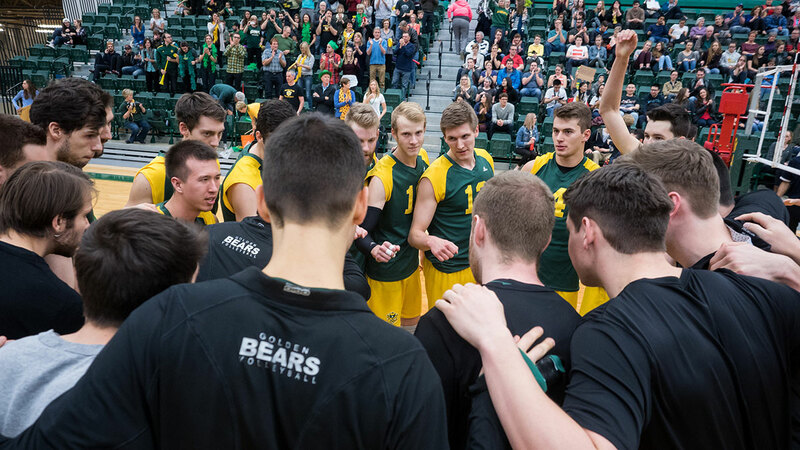 In the single elimination format, the Bears need three straight wins to three-peat as CIS Champions. 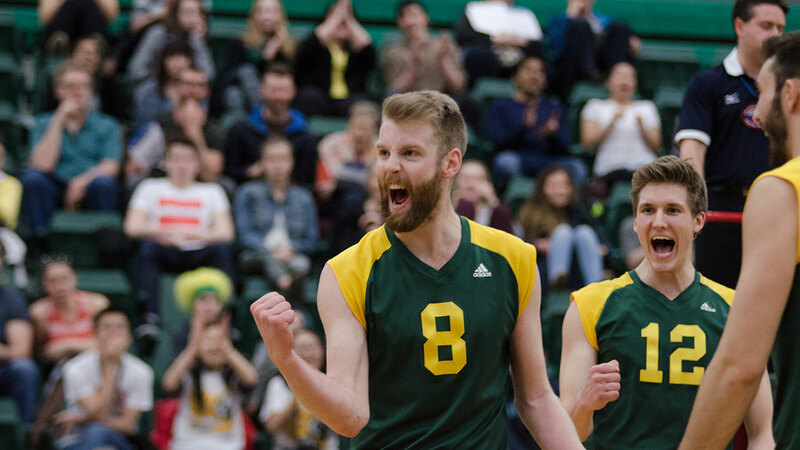 When asked about what he thought of the CIS tournament, Danyluk kept his comments simple.